West Ham have reportedly tabled a bid of £8.9m in an attempt to sign French midfielder Maxime Gonalons from Serie A side AS Roma. The 29-year-old has emerged as a target for several Premier League clubs. He only made 16 outings in Italy's top flight for I Giallorossi last season and has fallen down the pecking order since Bryan Cristante joined the side on a loan deal from Atalanta in June. He is now likely to show the club his back this summer and is attracting some interest, especially from England's top flight, with Il Romanista also claiming that Everton and Crystal Palace have also sent offers Roma's way. It is understood, however, that both sides have seen their bids turned down. Manuel Pellegrini is now set to try his luck and will hope he can convince the Frenchman to become part of the new project unfolding at West Ham. The Irons have already been handed a disappointment in the form of a failed bid, but more recent claims state that the player would be willing to reconsider a switch to London, albeit leaning towards a move back to France for family reasons. According to Italian source Calciomercato, the Hammers have approached Roma with an offer. The midfielder played his youth football at Villefranche and Lyon, joining the latter in 2000. He has also been capped by Les Bleus on eight occasions, having made his debut in 2011. 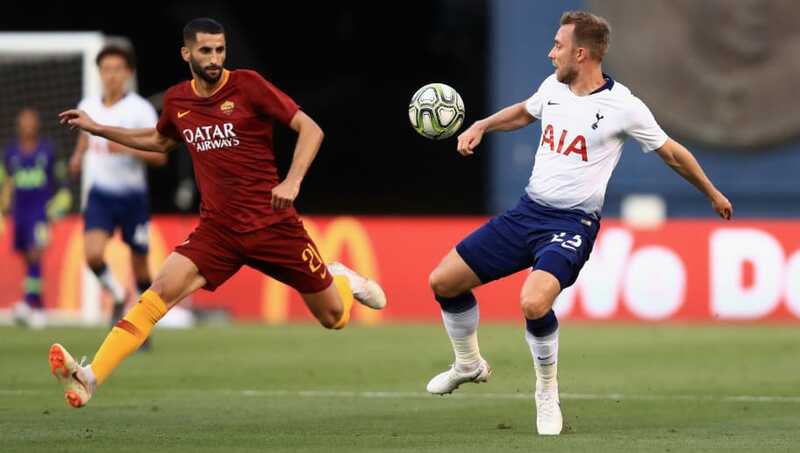 Gonalons has only been with Roma one season but is already believed to be keen on finding a way out given the disappointment he suffered at the club during the campaign. He could prove quite the signing if West Ham manage to work a deal out.